What are Flower Essence Remedies? Flower Essence Remedies are used as part of every kinesiology treatment. 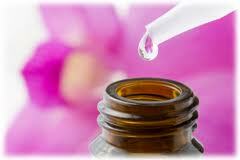 Flower essence remedies are like homeopathic remedies for your mind, body and spirit. They were pioneered by Dr. Edward Bach, who created a full range of Bach Flower Remedies, including the famous 'Rescue Remedy'. Bron uses a number of different types of Flower Essence remedies in treatment, including Bach Flower Essences, Australian Bush Flower Essences, Desert Alchemy Essences, Gem Essences, Liquid Light Essences. Vibrational Remedies, and Aurasoma. Flower Essences are wonderful in treating a diverse range of conditions, as they provide healing on all levels - physically, emotionally, mentally and spiritually. Remedies attune us to the changes we'd like to make on every level of our life. Flower Essences are a vibrational remedy.....so.....as you use a flower essence, you begin to resonate in harmony with the frequency and qualities of the flower/plant, and limitations and disharmonies begin to change. (It is not necessary to believe in them to experience their beneficial effects.) Flower essence remedies have been used successfully with adults and children, and also in treating animals and plants. Flower essences are very gentle, and do not overwhelm or force something to happen. They do, however, help you to become conscious of things that are already happening with your. As a result, sometimes you may have an awarenesses with which you are not completely comfortable. The essences effect a shift in consciousness, and each person may experience the effects differently. To recognize how they are working, it is necessary to observe your inner state. The more attuned you are to our inner life, the easier it is to recognize the flower essence's effects. Click here to find out more about Bach Flower Essences. This is a Personalised Flower Essence Remedy blended specifically for you. Either select your own essences, or the essences can be remotely muscle tested, and blended for your particular needs. Essences can be picked up at the clinic, or mailed to you (postage added).